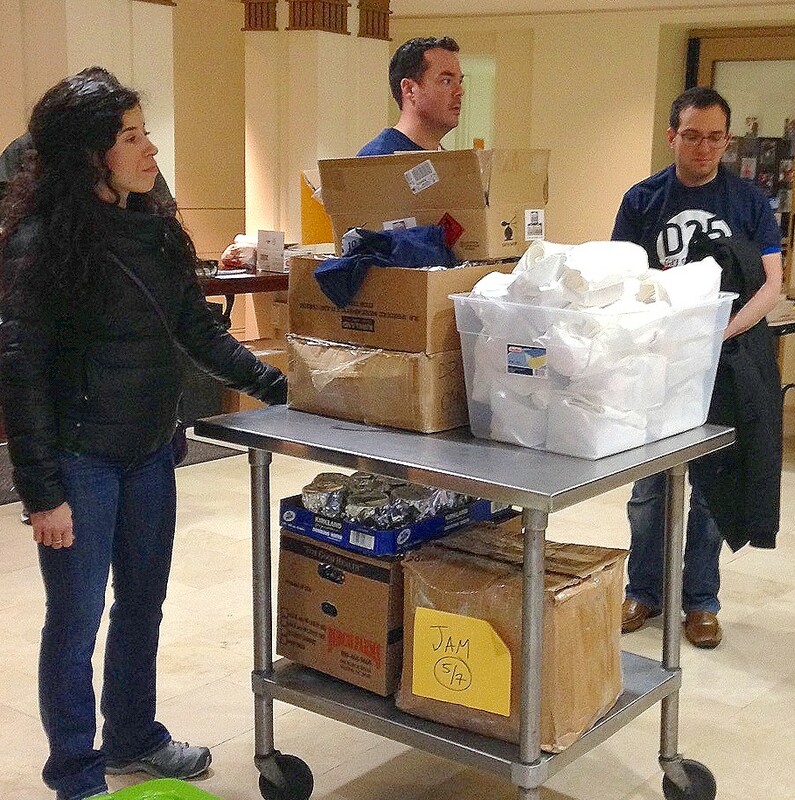 Participants in the Jews and Muslims DC event prepare to leave the DC Jewish Community Center with food and gifts for homeless people on Christmas Day. Photo by Rhea. I started off Christmas Day by returning a lost wallet. Then I headed to a volunteer event at the DC Jewish Community Center, where I gave blood and joined a project of Jews and Muslims DC that distributed food, holiday cards, and toiletries to poor and homeless people. The Washington Post and local news station WJLA covered efforts that day. Yep, it all looked pretty virtuous. But it takes more than a day of service to bring about change. That afternoon, just outside a Metro entrance that provided some warmth, we met a man who had a job as a bike mechanic but was living in a tent because rent is so high. For the Post article, reporter Michelle Boorstein spoke to a father and his adult son who had both been struggling for years. These are ongoing and systemic problems.